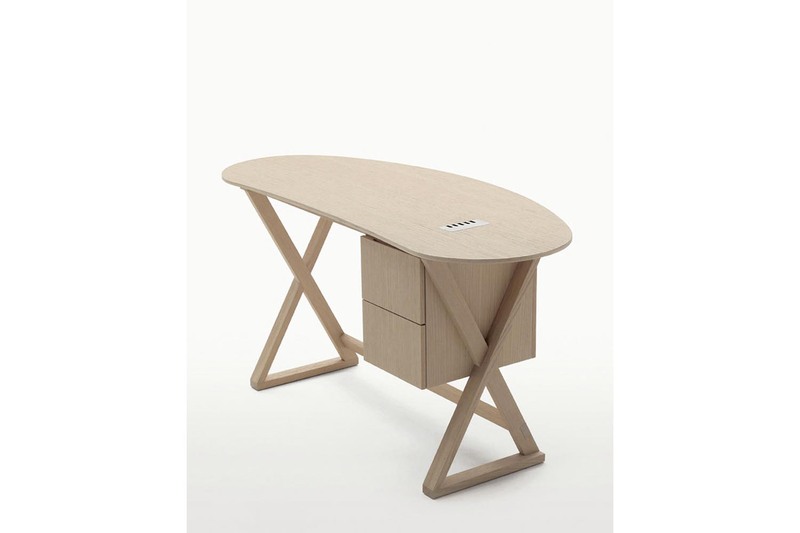 Plain small service table in three sizes, one of which includes a drawer, and a practical writing desk, in brushed light or black oak, or grey or brown oak. 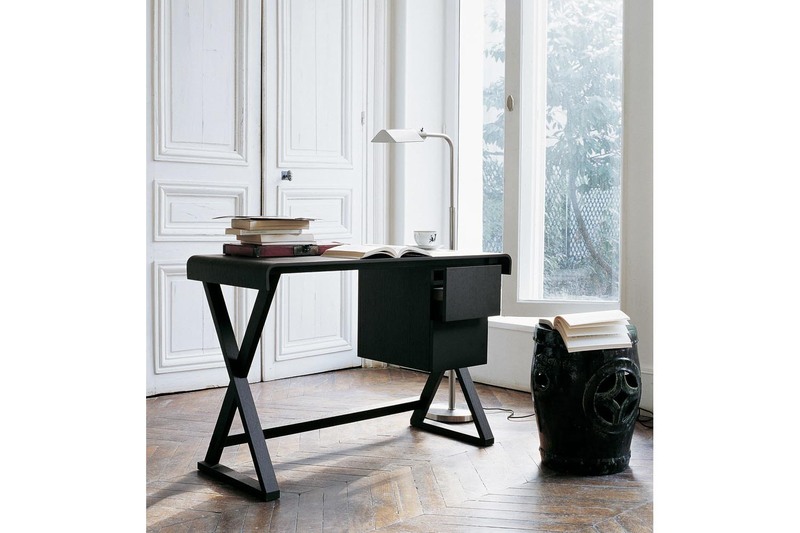 The rectangular top of the writing desk is lined with natural or black leather or alternatively a curved top version. 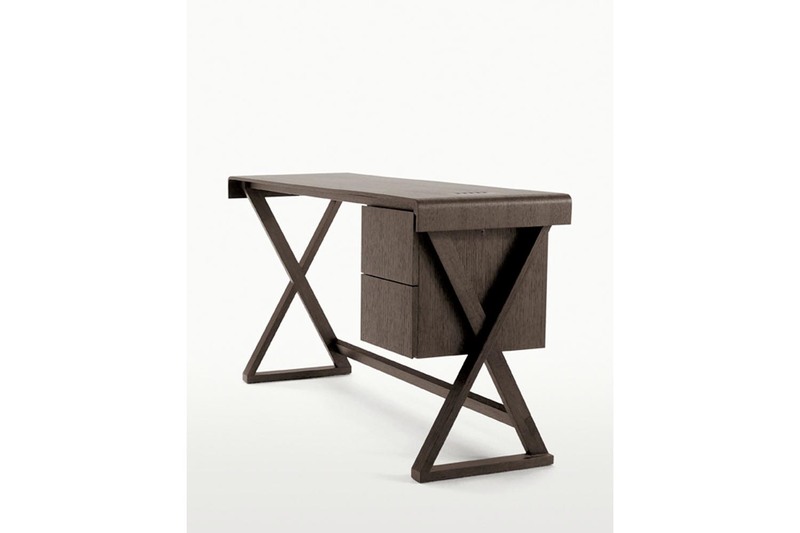 Both feature a cable access cover and a drawer unit placed under the top.